Sylvia Lafair, PhD, is president of Creative Energy Options (CEO). With a doctorate in clinical psychology, Sylvia has taught at Hahnemann University and has more than 30 years’ experience applying her expertise in human behavior and relationships to organizational environments. She is a highly regarded executive coach and leadership educator, having worked with all levels of organizational leadership with major global corporations, family firms, entrepreneurs, start-ups, and non-profit organizations. Sylvia recently joined us on episode 055: How Pattern-Aware Leadership Drives Change. 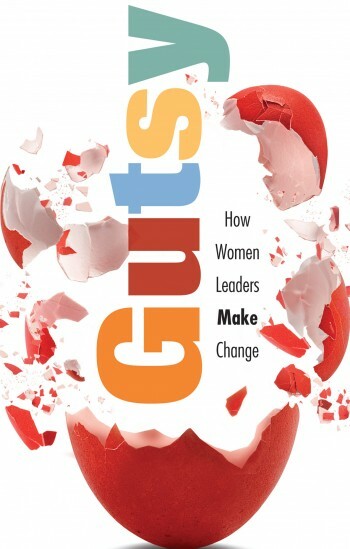 Her latest book is GUTSY: How Women Leaders Make Change. It’s a book that teaches how to take patterns that women tend to have and turn them into opportunities as leaders for positive change. She doesn’t waste time pointing fingers, doesn’t suggest an overly simplistic solution, and doesn’t encourage either defensive excuses or self-destructive zeal. Instead, GUTSY provides a roadmap for a more thoughtful approach, which Sylvia believes will help many women take their next step toward leadership success and influence in an increasingly complex world. Together, Jesse and Sylvia discuss how women can find their authentic, GUTSY voice and make a difference.